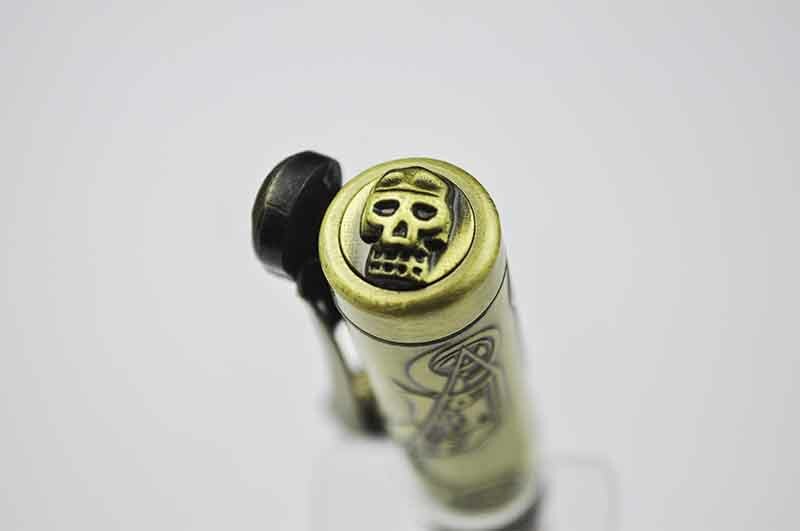 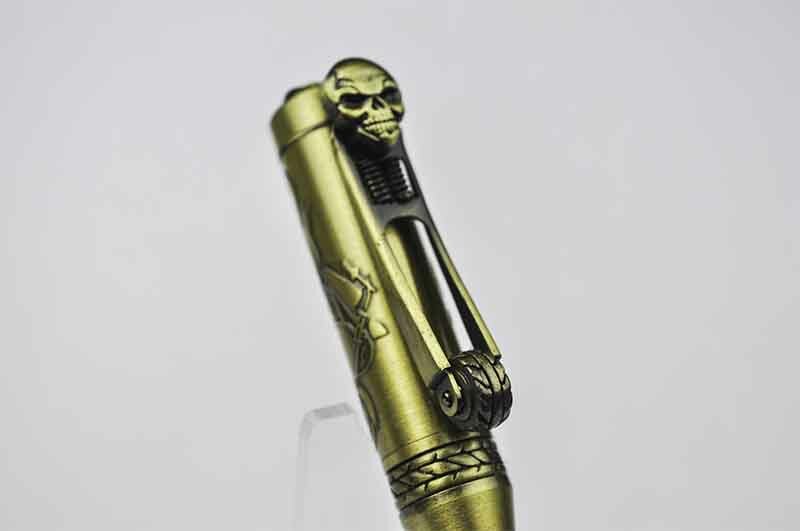 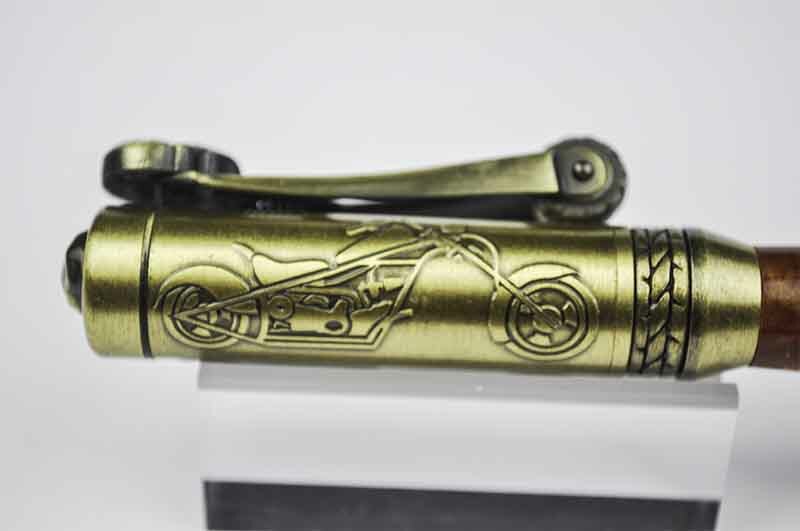 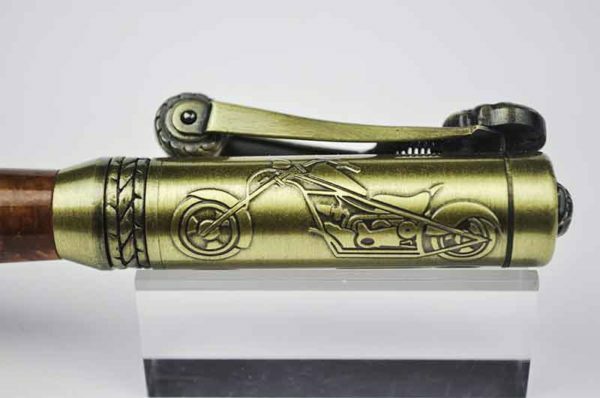 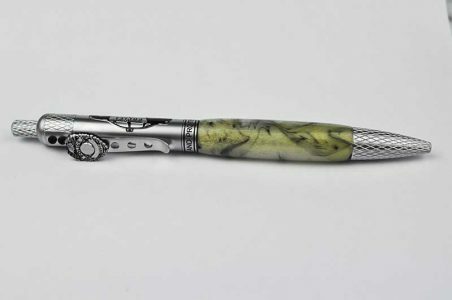 This pen is perfect for all motorcycle enthusiasts! It symbolizes the ultimate in American icon history with its classic Springer style front end and evil skull headlight. 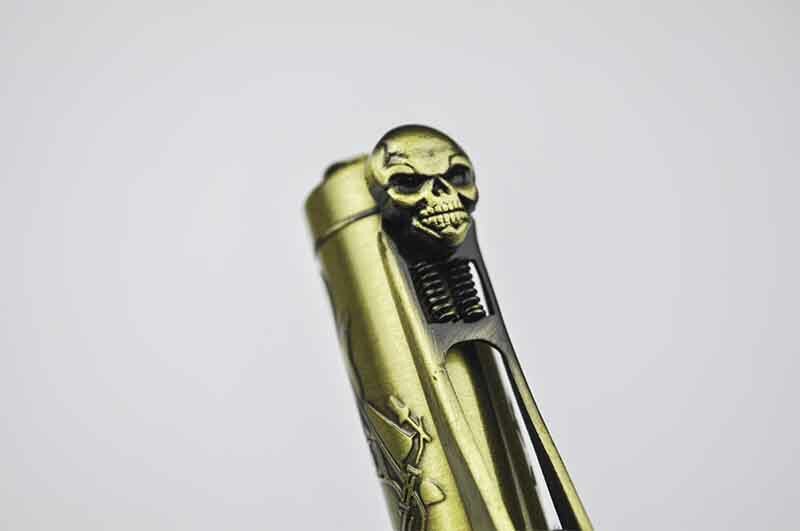 There are etched choppers on both sides of the upper barrel. 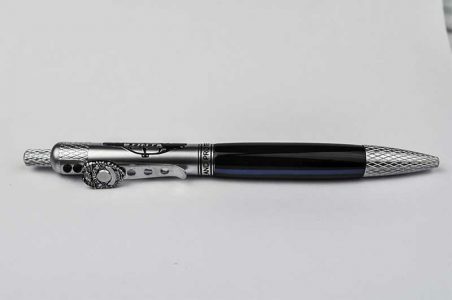 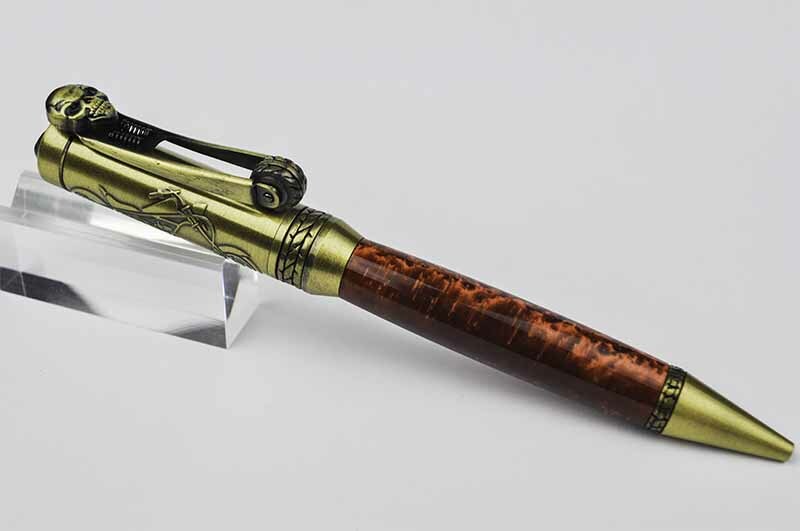 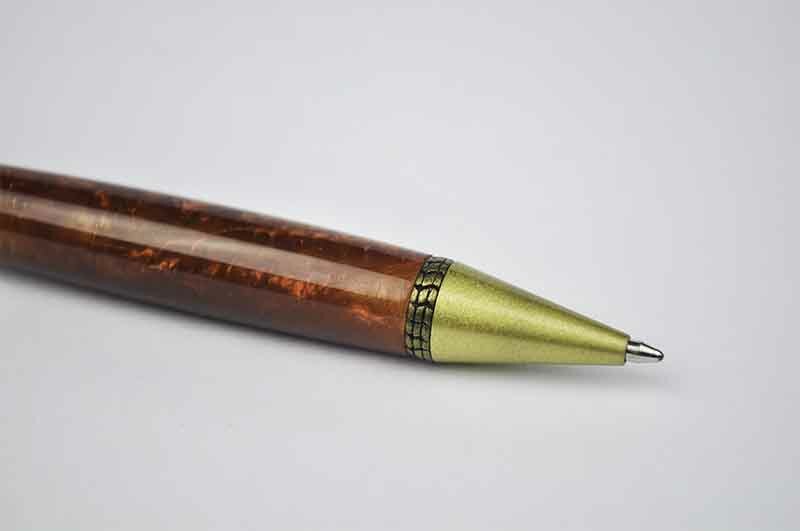 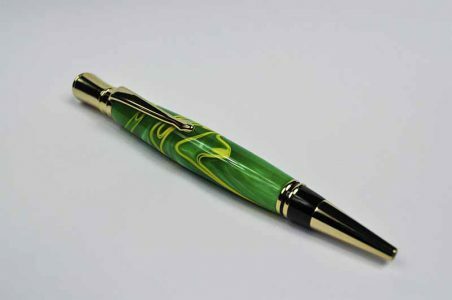 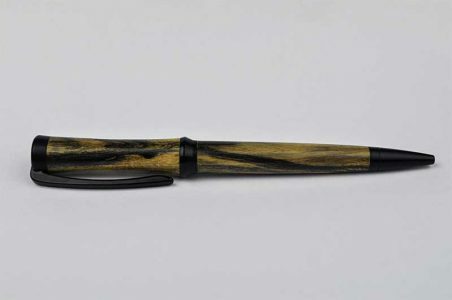 It features a single twist mechanism with a Parker™ style refill.